Recently, someone who is very dear to our family became the target of a malicious and vindictive cyber-bullying attack. 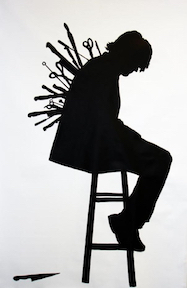 Creating a fake online identity, the abuser stalked their unsuspecting victim, leaving scathingly derogatory comments on pictures and sending emails of slander, innuendo, and bald-faced lies to friends and family of the target. And a hate-filled, venomous personal note sent directly to the target. With a (different) fake name and email address, a letter was sent to the target's employer, filled with false accusations intended to get the target fired and probably banned from that line of work for life. It was vicious and without excuse, but grimly effective nonetheless. The quote from Shakespeare's Othello sums it up very nicely: the perpetrator gains nothing (beyond deriving some twisted sense of temporary pleasure), but the person whose name (reputation) has been filched (stolen) loses much. We call it cyber-bullying or harassment these days, but its roots are as old as human speech: gossip. It is listed as one of the things that the Lord "detests" (Proverbs 6:16-19), and has been famously identified as one of the Seven Deadly Sins. And for good reason. "A troublemaker plants seeds of strife; gossip separates the best of friends." Destroying a person's reputation through deceit, manipulation, and gossip is just plain EVIL. But wait! How did people respond to the lies and innuendo? Did they doubt the victim? Believe the slander? Stand at a distance, influenced by the old ruse "well, where there's smoke, there's probably fire..."? In what has been one of the most unexpected and heart-warming outcomes that could be hoped for, everyone rallied around the devastated victim and refused to be taken in by the abuser. The fake online identity was reported, and within just a few hours, was gone. The victim's inbox became jammed full of words of encouragement, prayers, and affirmations of their Godly character. Local friends went out of their way to encourage and pray. Pastors and older Christian friends spoke words of comfort and encouragement. And the tables were completely reversed. People chose to shut their ears to gossip, rebuke (report) the abuser, and rally around the target of the gossip campaign. Instead of becoming suspicious or wary, they stood firm on the character of the person they knew. They shone light into darkness, and as is always the case, darkness fled.